Join artist Grandmother Edna Lawrence in learning to craft a paper quilt. 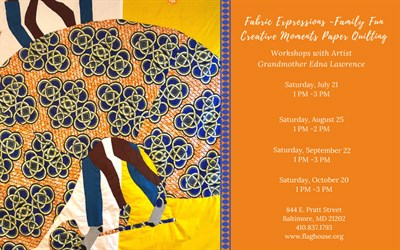 Fabric Expressions Paper Quilting workshops will be held once a month through the run of the Fabric Expression Exhibit. See http://www.flaghouse.org/events for all events.